Country Ma'am are tiny individually wrapped soft cookies, generally sold in vanilla and chocolate flavors. You've probably seen seasonal flavors temporarily available. If you live in an area known for some type of fruit or vegetable (as most areas in Japan are), there may be a unique flavor of Country Ma'am cookies available near you. In Fukuoka Prefecture, there are several local flavors, although mentaiko and tonkotsu ramen are hardly cookie flavors. The one above on the right is amaou strawberry flavor. The amaou strawberry grown in this region is fragrant, sweet, and huge. On the left is a Country Ma'am from a box of omiyage from Chiba City. Previously I had no idea that Chiba is known for biwa (loquat). I only knew that the region is famous for peanuts. 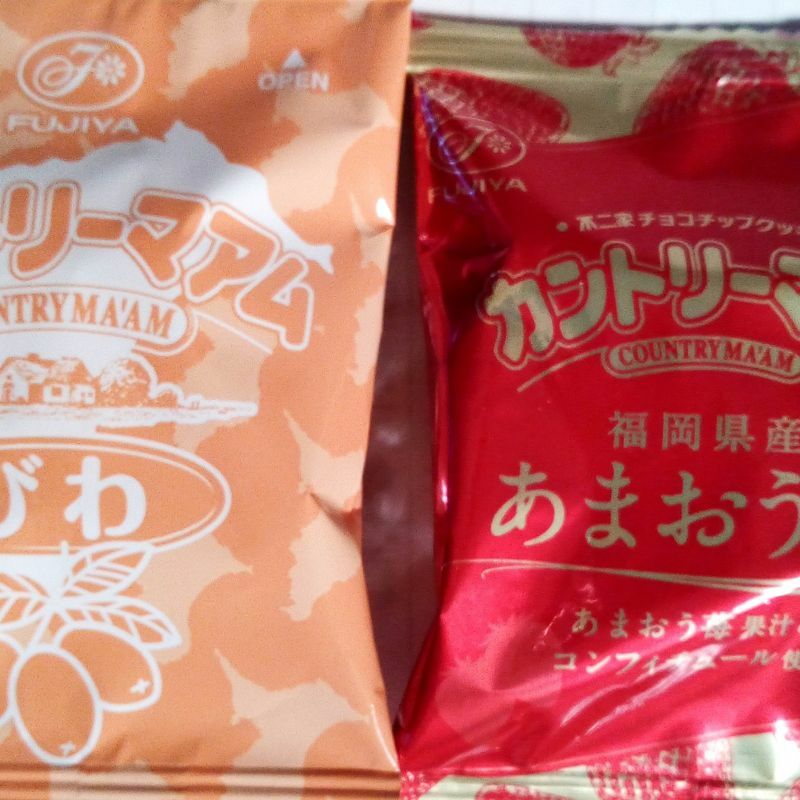 In the past I've also tried Country Ma'am from Kumamoto Prefecture - kabocha flavor. Kabocha pumpkin flavor was essentially a slightly orange vanilla cookie without any obvious pumpkin flavor and I think the biwa flavor was similar. I didn't expect much as biwa doesn't have a strong flavor. On the other hand, the amaou strawberry flavor was more obvious. Have you tried any of the local flavors of Country Ma'am? 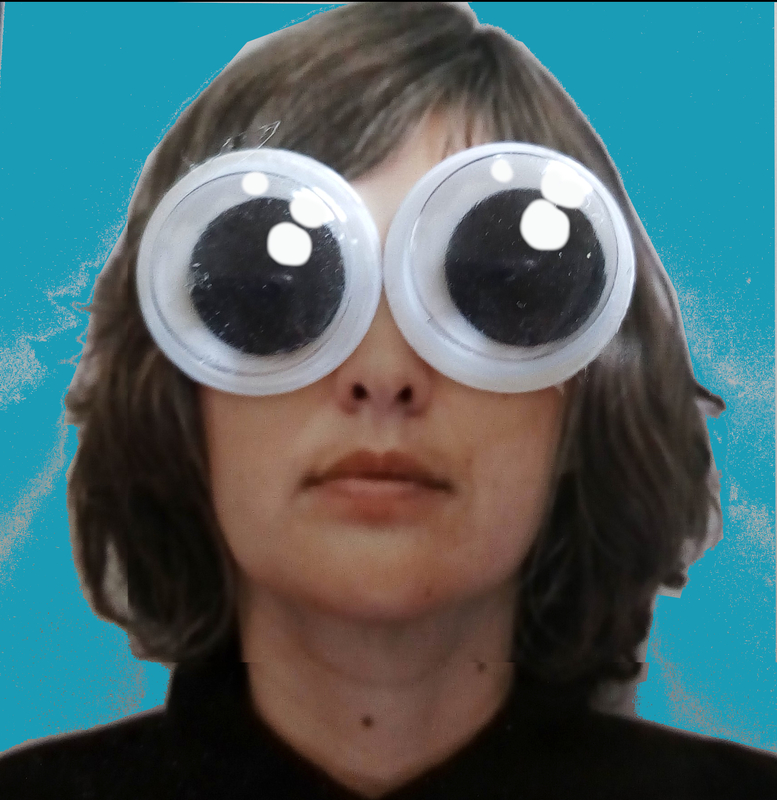 Like a pack of Country Ma'am every now and then (that being the key phrase, as they're quite expensive). Not at all a fan of the individual wrapping, but then they can't be singled out for that. I'm happy with the classic flavor where Country Ma'am is concerned, although I did enjoy a limited-edition lemon that they did (which I think I wrote something about on here). I've never noticed the local flavors but living in Chiba Pref. I'll see if I can spot the biwa that you mentioned - although I'll have to Google it first!!! @Tomuu If you think the regular flavor is expensive then maybe you won't want to go for the omiyage box of biwa flavored cookies. I think the box was 12-16 cookies and around 800 yen. It's from one of the shops inside Chiba Station. Lemon sounds interesting. I remember you're a fan of the lemon during summer.